Fast on the heels of Synthetic Genomics Inc (SGI), the world’s leading genomic driven technologies company‘s application of ‘”synthetic genomics” technologies, designed ‘to accelerate the production of the influenza seed strains required for vaccine manufacturing’ (allowing them the ability to harness designer cells for rapid factory production of vaccines), Vaccine Manufacturers have begun systematically streamlining their product to harness 21st Century Cloning technology, sensing a golden opportunity to capitalize on a cash bonanza; by focusing on “creating novel, highly potent recombinant vaccines produced via cell culture” utilizing “proprietary technology” – patented cloned cell lines for continuous assembly line production. The US Dep’t of Health & Human Services recently committed $487 million, part of a joint venture totalling nearly $1 billion US in investment, to produce ‘50 million doses of cell-based seasonal trivalent flu vaccine, and up to 150 million doses of monovalent vaccine (Novatis Vaccines)‘ in preparation for a potential Pandemic. In tandem, the Canadian Federal Gov’t has announced a new 10-year pandemic flu vaccine contract with GlaxoSmithKline, valued at more than $425-million (in addition to a 3 year $33-million contract to Sanofi Pasteur Ltd & a $50-million contact to Novartis Vaccines: a total investment of over $500 million). The contract is intended to ensure a secure supply of vaccine for Canadians in the event of “a future influenza pandemic”. Other nations are following suit. The Vaccine Industry has unanimously endorsed SGI founder Craig T. Venter’s methodology, which ‘permits the construction of any specified DNA sequence, enabling the synthesis of genes (units of an organism’s hereditary information) or entire genomes (the entirety of an organism’s hereditary information), a process involving synthesis of ‘a 1.08 million base pair Mycoplasma mycoides genome, constructed from four bottles of chemicals that make up DNA. This synthetic genome has been “booted up” in a cell to create the first cell controlled completely by a synthetic genome.’ SGI, in fact, claims to have harnessed “the ability to routinely write the software of life“. 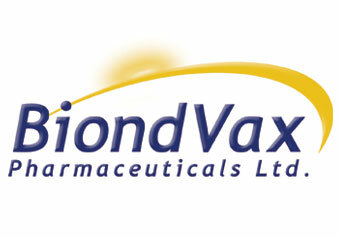 One such corporation on the cutting edge, the Israeli based ‘Biondvax’, has entered the spotlight with the headline grabbing promise of a radical new one-size-fits-all type vaccine, a “One For All” Multimeric-001 Universal Flu Vaccine (“innovative synthetic influenza vaccine“) boasting ease of manufacturing, a recombinant (synthetic) protein, commercial-scale production possible in 6-8 weeks, enabling year-round, demand-based production, a single, universal (untested) formulation, truly universal (untested) immunity, effective against multiple influenza strains (Seasonal & Pandemic), Influenzas Type A & B, activates both arms of the immune system (humoral/antibody & cellular/T-cell), ease of manufacturing, recombinant (cloned/synthetic protein strands of DNA, RNA), commercial-scale production possible in 6-8 weeks (assembly line factory cloning), enabling year-round, demand-based production (ensuring a worldwide monopoly). This investigation has uncovered compelling evidence indicating serious flaws in the methodology, research & development stages behind the Universal Flu Vaccine; including a litany of cover-ups & skewed data fueling Biondvax’s propaganda machine. One pattern is recognizable in terms of determining a criteria for Seasonal Influenza – The majority of Flu deaths are attributed primarily to bacterial pneumonia triggered by the flu symptoms. The flu itself cannot kill you. Most victims of the flu are those 65 years and older. In almost every instance a compromised immune system is a key factor in those victims who succumb to the flu. The World Health Organization routinely cherry picks data corresponding to Influenza spread throughout the community, fudging statistics, misrepresenting category averages such that the figures appear higher than the evidence allows. Their claim that 36,000 Americans die from the seasonal flu is classic deception & fear mongering propaganda. Most of those deaths, as you can see by the breakdown chart here-in resulted from bacterial pneumonia triggered BY the Flu. And the age bracket for most victims is 65 and over. But the Flu itself is relatively innocuous by comparison, Actual flu death figures are statistically minor. The CDC/WHO converts numbers from the third set; based on yearly fluctuations they arrive at 36,000. The misleading nature of Relative risk-type Studies: ‘If a study reports that a drug reduces your risk of developing breast cancer by 50%, that may sound great, but you must ask whether this is the relative risk or the absolute risk. Here is an example: In a clinical trial, one hundred (100) women (the subjects) take a new drug to see if it reduces the risk of breast cancer, and one hundred (100) women (the controls) take a placebo (dummy pill). Assume that after five years, researchers release data showing that two of the women who took the drug (the subjects) develop breast cancer and four of the women who took the placebo (the controls) develop breast cancer. 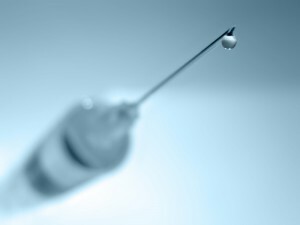 There are other primary factors to consider in terms of Influenza vaccinations, including the mutability of viruses within the shots & the presence of animal cell substrate derived co-infections/cross-contamination, adventitious agents & neoplasms; all associated with a heightened risk of acquiring cancer. “Because the influenza virus genome is segmented, coinfection of a single host cell with two or more different influenza viruses can result in a reassortment (shuffling) of their genetic material. The antigenic shift can lead to a pandemic if the resulting progeny virus contains an HA protein to which humans have no preexisting immunity, if it has an efficient replication-competent set of internal genes, and if it can readily spread from human to human.” Dr. Antony Fauci, director of the National Institute of Allergy & Infectious Diseases, co-patent holder of “IImmunologic enhancement with intermittent interleukin-2 therapy” described as being central to gene therapies and the future of “geneto-pharmaceuticals”. ‘Production of viral vaccines generally involves inoculation of a cell substrate with a vaccine seed and purification of bulk product from these cells after a sufficient time for replication of the virus or production of vaccine proteins. Other raw materials (e.g., tissue culture reagents, stabilizers) may be added to the product at various stages of production. Thus, adventitious agents could theoretically enter a viral vaccine through any of these ingredients. ‘The experience in the early 1960s with SV40 contamination of poliovirus and adenovirus vaccines and the continuing questions regarding whether SV40 could be responsible for some human neoplasms (types of cancer) underscore the importance of keeping viral vaccines free of adventitious agents. This is particularly important when there is a theoretical potential for contamination of a vaccine with viruses that might be associated with neoplasia (cancer). However, if their growth in tissue culture is not well controlled, there may exist additional opportunities for contamination of cells with a longer lifespan. In cases of neoplastic cells for which the transforming event is unknown, there is also a theoretical possibility that transformation occurred as a result of a previous viral infection. Because some mammalian tumors and some cells transformed by viruses contain infectious virus, cells transformed by an unknown mechanism have a theoretical risk of containing transforming virus. Cells for which specific knowledge of the transforming event exists (and can be shown not to be a virus that persists in the cells) may be more easily characterized than cells for which there is no specific knowledge of the transforming event (which could theoretically have been due to an infection with a known or an unknown virus). 1. Thimerosal Mercury – The Vaccine Industry continues to promote the widespread use of Thimerosal Mercury , as a sterilant-preservative, particularly in the Influenza vaccine; despite mounting scientific evidence verifying its inherent dangers to human health. Most versions currently contain an average 25 micrograms of Thimerosal. Based on EPA standards this is considered a safe level of exposure for a 2500 pound adult. Studies reveal that the level of mercury in the umbilical cord blood of newborns is 1.7 times higher than the mercury level in their mother’s blood. Studies reveal that the level of mercury in the umbilical cord blood of newborns is 1.7 times higher than the mercury level in their mother’s blood. “The search for the association between mercury and cardiovascular disease reveals 358 scientific papers exemplifying the relationship; between mercury & cancer we find 643 scientific papers. The association of mercury with neurodegenerative diseases is the most significant, with the references numbering 1,445. 2. Aluminum (Aluminum Hydroxide/Potassium Sulfate) – use in vaccines traces back to the early 1920’s. Alum (Sodium Potassium Sulfate) had already been used in Industrial applications for generations , mainly as a fix-it in dyes. In new trials they discovered it would also generate a prolonged immune response when injected into the body as an adjuvant; whereupon aluminum was immediately introduced on the vaccine market. However no studies were done to ascertain its effects on the nervous system or behavior. The Regulatory Agencies quietly rubber stamped & fast tracked the product for approval, merely ‘grandfathering’ it into widespread use, without any precautionary clinical safety analysis. To this day, aside from Squaline (shark oil), aluminum remains the primary immune stimulating component in all ‘heat-treated virus’ type vaccines. Aluminum is a highly conductive ‘electropositive’ metal. The human body is also charged with electromagnetic, bio-conductive energy. Essentially we are bio-electric beings. Certain storehouses are concentrated with higher degrees of “conductivity”; in particular the brain which consists primarily of neurons. Based on Dr. David Ayoub’s findings children, on average, receive 2-400 micrograms per vaccine, over a milligram of Aluminum; a concentration & dosage that is 10 – 20 times more toxic than Mercury. Multiple vaccines are far worse, over a 1000 micrograms on average for a triple set shot. Compounding the problem even more aluminum gets in during the manufacturing process. An indicator that the tools and/or machinery used are not properly monitored for safety. Acute exposure to heavy metals can lead to a host of auto-immune disorders: Downs Syndrome, Autism, Schizophrenia, ALS, Lupus, Parkinson’s & Alzheimer’s Disease, cognitive disfunction. Compounding the problem even more aluminum gets in during the manufacturing process; a clear indication that the tools and/or machinery used are not properly/thoroughly monitored for safety. Note: While Aluminum has been effectively removed from the current roster of Influenza vaccines, it has been used periodically as an Influenza vaccine adjuvant (ie. alternate Pandemic vaccines) and is still on the radar for further service; therefore it has been included here-in for analysis purposes. 7. Potassium Chloride – Used as part of a phosphate buffered saline in the shot. The majority of the potassium chloride produced is used for making fertilizer, since the growth of many plants is limited by their potassium intake. As a chemical feedstock it is used for the manufacture of potassium hydroxide and potassium metal; and as a flux for the gas welding of aluminium. Hyperkalemia. May induce Cardiac arrest (especially in renal impairment or if administered too rapidly). May cause pain and thrombophlebitis if administered in high concentration into small veins in patients with cardiac disease, renal impairment, or acidosis: monitoring of acid-base balance, potassium levels, and ECG is recommended. Potassium chloride is also used as the third of a three-drug combination in lethal injection. Additionally, KCl (AN aqueous solution form of Potassium Chloride) is used, albeit rarely, in fetal intracardiac injections in second- and third-trimester induced abortions. 8. Sodium Phosphate Dibasic Heptahydrate & Potassium Phosphate Monobasic – Both excipients (pharmacologically inactive substances, carriers for the active ingredients of a medication)) used as part of a phosphate buffered saline in the shot. May sequester calcium and cause calcium phosphate deposits in kidneys. Chronic ingestion or inhalation may induce systemic phosphorous poisoning. Liver damage, kidney damage, jaw/tooth abnormalities, blood disorders & cardiovascular effects can result. Phosphates are slowly and incompletely absorbed when ingested, and seldom result in systemic effects. Such effects, however, have occurred. Symptoms may include vomiting, lethargy, diarrhea, blood chemistry effects, heart disturbances, nausea, vomiting, stomach/abdominal pain or bloating, dizziness, or headache and central nervous system effects. The toxicity of phosphates is because of their ability to sequester calcium. 9. Sodium Deoxycholate – detergent added to new generation of ‘Split Vaccines’ to modify the whole virus which causes cell death and symptoms such as burning, redness, and swelling. It has been shown to weaken the blood-brain-barrier (BBB) and subsequently activate seizures. It demonstrates synergistic toxicity — notably with Amphotericin B, the antifungal listed above. Recommended for stripping endotoxin (Lipopolysaccharide or LPS) from immobilized Polymyxin B columns; for use with the the Thermo Scientific Detoxi-Gel Endotoxin Removing Gel. The effectiveness of a detergent in any application is dependent on the detergents concentration. Too much or too little detergent can often have a deleterious effect. 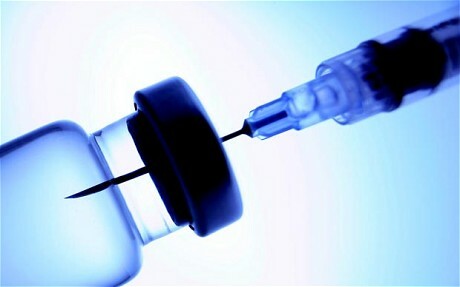 The trivalent influenza vaccine contains 3 sets of either ‘killed’ or ‘heat-treated’ DNA/RNA strands (attenuated/muted/heat-treated version of the original virus), ostensibly a safe variant blueprint of the live virus itself which induces a robust immune response, thereby immunizing the body against the likelihood of succumbing to the flu without directly infecting the host. This is represents a fundamental flaw in scientific reasoning, verified by the legacy of ineffectiveness & co-infection/cross-contamination associated with the majority of vaccine uptake. Adjuvants are designed to jump-start or supercharge the immune system – to induce a robust immune response; thus immunizing the body against the likelihood of succumbing to the flu while avoiding the direct spread of infection. In truth no virus is fully killed during the vaccine manufacturing process. Typically the vaccinee is left more susceptible to catching the seasonal flu (twice a likely to catch swine flu). Depending on the degree of compromised immune system &/or pre-existing medical condition involved, a vaccine induced Cytokine Storm can rapidly trigger complete auto-immune failure throughout the individual’s body. Manifestations of a vaccine triggered Cytokine Storm can range from high fever & extreme vomiting to Bronchitis, Hemorrhagic fever (drowning of lungs with fluid), Anaphylaxis (severe allergic reaction), Guillain–Barré syndrome (form of paralysis), Encephalitis (brain inflammation), acute respiratory distress syndrome, Sepsis, Bacterial Pneumonia, febrile convulsions, Sub-Clinical Epileptic Seizures, Grand Mal Epileptic Seizures, Narcolepsy, organ failure, blindness, coma & death. Note: an overabundance of T-Cells, Microphages & oxygen free radicals flood the body – attacking the lungs, kidneys, liver, brain, impeding Endocrine, Lymphatic, Immune & Nervous system function. Babies as young as 6 months old are now routinely being inoculated for influenza at 6 months; a drastic intervention in early development; by the Medical purveyors’ own admittance, one intended to boost general rates for vaccine uptake. The strategy seems to be in provoking a wider swath of vaccine uptake, thus inevitably opening the floodgates to a greater exposure of the herd. The mother’s placenta, & breast milk (Colostrum) are inextricably linked, providing a baby’s primary initial source of nourishment through the long journey of formation in utero; while supplying the basic building blocks of life necessary to guarantee a safe transition into early childhood development. Mother & baby share the same Immune system while the baby is ‘in Utero’. It seems almost inconceivable given the scientific literature in circulation, but somehow the CDC, WHO & local health authorities in countries around the world have begun recommending all pregnant women & babies as young as 6 months receive Influenza vaccine during first trimester. Vaccine Manufacturers & National Health Departments have begun universally emphasizing the need for alternative methods of product development; transitioning to more radical cloned cell-based technology (’laboratory-grown cell lines that are capable of hosting a growing virus’) – already in Phase 3 Clinical Stages pre-production. 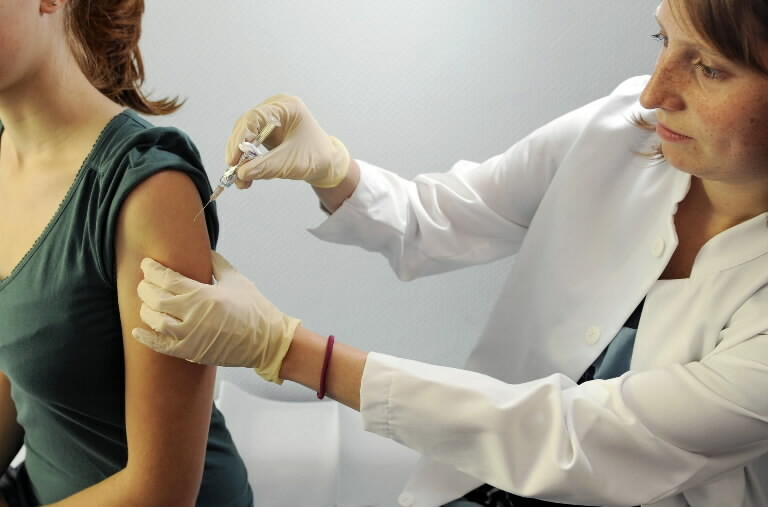 Reasons sighted include the Flu vaccine itself which incurs the most demand year to year. Egg based vaccine production is deemed inefficient, both “time-consuming and resource-constrained”, not only below “capacity” but readily “perishable”. ‘In order to produce 300 million doses of vaccine, egg-based production would require some 900 million eggs. In the case of an avian flu pandemic, egg-producing flocks could decline, jeopardizing vaccine production capabilities.While eggs are perishable, cell lines can be safely kept frozen indefinitely, increasing the capability to rapidly produce vaccines if an influenza pandemic were to occur. Vaccine manufacturers are able to bypass the steps needed to adapt the virus strains to grow in eggs. People allergic to eggs cannot receive vaccines produced from chicken eggs, but can be immunized with a cell-based vaccine. 1. Primary cells are obtained directly from the tissues of healthy animals. Primary cells are more likely to contain adventitious agents than banked, well-characterized cells. This concern with primary cells is mitigated by rigorous qualification of source animals and primary cell substrates. 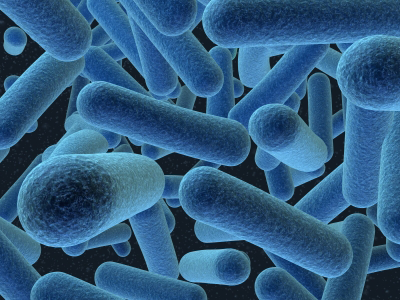 Animals from which primary cultures are established should be from specific-pathogen-free (SPF) closed flocks, herds, or colonies, when feasible. The term “closed” refers to the maintenance of a group (flock, herd, and colony) free from introduction of new animals (new genetic material). Animals that are not from closed flocks, herds, or colonies should be quarantined and thoroughly evaluated for a period sufficient to detect signs of disease or infection before introducing them into the flock, herd, or colony. Note: ‘Primary cells are more likely to contain adventitious agents…’. 2. Diploid cell strains (derived from aborted fetal tissue) are established from primary cell cultures by expansion and cell banking. These types of cells have a finite life span and are not immortal like cell lines. Diploid cells usually retain a diploid or near diploid karyotype, a characteristic that also differs from cell lines, which are generally aneuploid or non-diploid. Note: ”Human Diploid Cells are associated with an increased risk of a theoretical ‘oncogenic agent’ (an agent that causes neoplasms/cancer)’. 3. Some continuous cell lines, including Vero cells (derived from African Green Monkey kidneys – patent owned by ‘Dyncorp’) and CHO cells (derived from Chinese hamster ovaries), have been used as substrates for licensed biologicals. Cell lines might have biochemical, biological, and genetic characteristics that differ from primary or diploid cells (e.g., they are typically aneuploid and have accumulated genetic changes). Because the mechanism by which most cell lines become immortal is generally unknown, and because some cell lines form tumors when inoculated into immunodeficient rodents, there are additional concerns for continuous cell lines compared with diploid cells, including the potential that transformation was caused by an adventitious agent and potential risks from residual DNA. ‘It is unclear whether neoplastic cells have a greater or lower adventitious agent risk than other types of cells. Because they can be grown for long periods in tissue culture, there may be greater opportunities for any adventitious agents to be detected. Because neoplastic cells survive indefinitely, it is easier to qualify and bank cells that have passed all tests, especially as compared with primary cells (which are derived repeatedly from live tissue and must be re-qualified with each use). Moreover, many neoplastic cells can be grown in serum-free medium, potentially reducing the likelihood of contamination with bovine adventitious agents.